Think again if you think AdWords can be successful without planning and attention to detail. (Your money spent on poor non-buyer ready words). Be it you or your Client, no one has an endless budget unless results come in. Think (research keyword markets and competitors). THE PROCESS - How we help you! We give advice where possible and conclude our phone-call (or meeting) with assumptions based on what we hear. If your happy, you may choose to trial our services via 3month or 6month programme (dependent on your project size and requirements). WE CREATE or LOGIN to your AdWords account. - Uploading of your Business Details (and/or your Client's). - Configuration + Inter Linking of accounts e.g.Analytics. WE (or you) PRODUCE CAMPAIGN/s. - Your budget can make a difference on 'how many Campaigns' we can set-up and that you can pay Google for 'resulting clicks' on. - It's also likely that the best way forward for you, may be, to choose 'a niche web market' and test it by spending 1month's budget within 5 days, then review, reform and launch again following month. Besides setting up your Campaign and AdGroups, which in itself if done properly can take much time and effort, there is much experiece that we draw upon in order to give the correct advise, conduct research and draw assumptions for a strategy. Often, we'll sort your Website prior to launch (or at least advise). Keyword Research is a big part, but Marketing Strategy is an even bigger part. There's a diverse mix of questions that we cover prior to simply setting up an AdWords campaign. Google often give us Credits to hand out to new accounts. Paypal will not allow you to purchase if 'Sold Out'. Further, if we do not hold our side of the bargain (mentioned above), then we will give a full reimbursement. (Your purchase will be protected by Paypal's Buyer Protection Policy anyway. 'somewhere' to send the person when they Click on your ad. That could be a basic Facebook page of any page on the web. WHAT TO EXPECT? (it's a numbers game). The more visitors you can afford, the more you could expect to 'hear from 1 of them'. ... 20 visitors might be your competitors nosing around. ... 20 visitors might be researchers. ... 40 mightn't be ready to buy and are just browsing. ... 20 visitors might be 'ready to buy'. ... 1 or 2 of those 'ready to buy' might have liked something on your site and therefore enquire. The 'better your Web Page is', the higher the probability you'll hear from one of the visitors. ... 10 people visit your great 'problem solving' site; 1 might enquire. ... 100 people visit a terrible site, which tries to sell but doesn't solve or convince, then perhaps you're lucky if 1 will enquire. (unless all the other sites are also awful). Simply wanting to learn AdWords? How to properly structure PPC campaigns? Things to ask your Client prior to setting up campaigns? How to manage expectations and avoid disappointment? How to holistically discuss Marketing Budgets and advise on Strategy Options? How to assess where you Client's Web Marketing is at 'the Good the Bad and the Ugly'? Simply want to advertise your business? Assessing current & past performance (uncovering the facts). Identification of all aspects of web improvements. 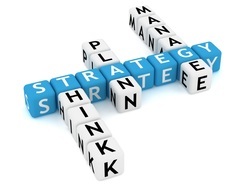 Propose realistic strategy's to accommodate your budget options. Devise a plan to handover to your internal staff (if you wish), or, to take responsibilities away from internal staff (if you wish).